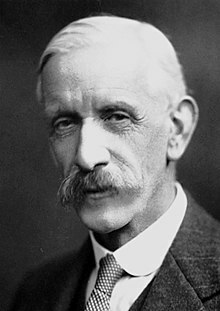 Sir Frederick Gowland Hopkins OM PRS (20 Juin 1861 – 16 Mey 1947) wis an Inglis biochemist wha wis awairdit the Nobel Prize in Pheesiology or Medicine in 1929, wi Christiaan Eijkman, for the discovery o vitamins, even tho Casimir Funk, a Pols biochemist, is widely creditit wi discoverin vitamins. He an aa discovered the amino acid tryptophan, in 1901. He wis Preses o the Ryal Society frae 1930 tae 1935. ↑ Dale, H. H. (1948). "Frederick Gowland Hopkins. 1861–1947". Obituary Notices of Fellows of the Royal Society. 6 (17): 115–126. doi:10.1098/rsbm.1948.0022. This page wis last eeditit on 19 Mairch 2018, at 03:13.